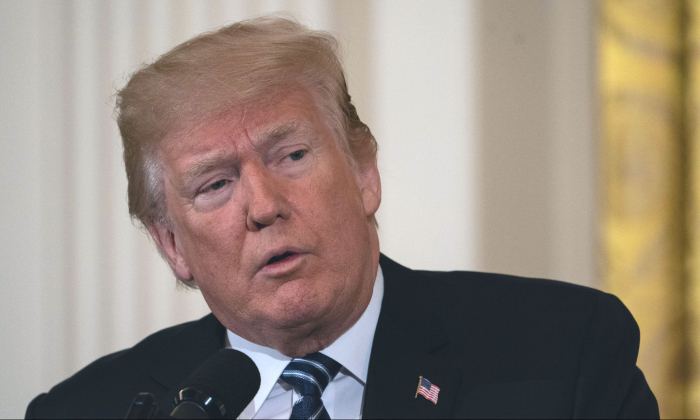 President Donald Trump sent a message of love and support to the people affected by the school shooting in Texas on Friday and vowed to do everything within his power to protect students. Trump also spoke by phone to Texas Gov. Greg Abbott. At least eight people died in the shooting at a Santa Fe, Texas, high school. Police searching the building said they had taken into custody a student suspected of the attack and found explosives in the school building. The sound of gunshots tore through the air at Santa Fe High School shortly before 8 a.m., witnesses told local media. Live TV images showed lines of students evacuating the building while heavily armed police responded to the scene. Harris County Sheriff Ed Gonzalez said that eight to 10 students and adults died in the incident at the school about 30 miles southeast of Houston. “There is one person, a suspect, in custody and a second possible person of interest that is detained and being questioned,” Gonzalez said at a news conference. The suspect is a 17-year-old male, a law enforcement source who spoke on condition of anonymity because he was not authorized to publicly discuss the investigation, told Reuters. At least nine people were taken to area hospitals for treatment, hospital officials said. The conditions of those people were not immediately clear. Gonzalez said a police officer was also being treated for injuries. Trump has already taken several steps to protect schools and students in the wake of a shooting at a Parkland, Florida, high school in February. The White House proposed legislation to strengthen background checks and arm properly trained school personnel.